Shri Santan Gopal Pooja is conducted by our Gurukula trained Pundits with a specific count of chant or jaap of Shri Santan Gopal Mantra. This is the mantra of God Krishna and by chanting this mantra, showering of Krishna’s blessing will occur on the native. Puja Yagya conducts this puja as per the vedic scriptures and it is performed with a wish of having a capable and good son. 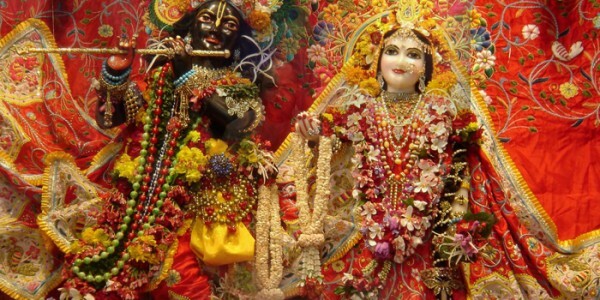 It is expected that son will have qualities of God Shri Krishna. This Puja is recommended to the couples who want to have a Son but facinf any problem in producing a Son because of any reason. For showering blessing of God on that couple, we conduct this Puja for the fulfillment of their longing to have a son of Krishna like quality. Puja is mostly started on a Thursday or Sunday and will be completed on the following next Thursday or Sunday. Sometimes days and duration can vary as per your convenience and the days required by pundits to complete the Puja, as sometimes calculation of days depend on Graha positioning and natal chart influence. We ensure absolute accuracy in chanting of Shri Santan Gopal Mantra and hence we ensure required outcomes for the couples. Conduting a Vedic Shri Santan Gopal Pooja by including chant of around 125,000 mantras of Shri Santan Gopal Lord Krishna and doing it by following all the rituals with absolute dedication and devotion will definitely bring good results for the native. We at Puja Yagya ensure that accuracy, in the most guaranteed and authentic manner and that is why our services are quite popular all across United States of America. We have learned and experienced Gurukul trained pundits who understand each and every mantra and their importance that helps them conducting Puja in the most accurate manner.